Active ingredient 0.02 % (w/w) deltamethrin & natural pyrethrums. 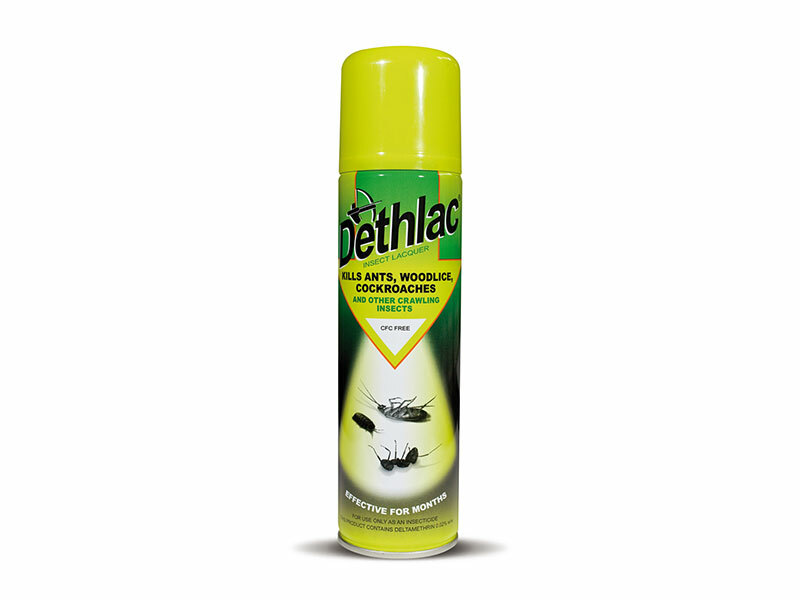 Dethlac insecticidal lacquer kills ants, cockroaches, woodlice and other crawling insects. May be applied to any firm non-absorbent surface for both indoor and outdoor use. Dries to a hard clear film & one application remains active for months even when it rains or if the surface is washed. Approved for both amateur and professional use.